Multiple instance (MI) learning with a convolutional neural network enables end-to-end training in the presence of weak image-level labels. We propose a new method for aggregating predictions from smaller regions of the image into an image-level classification by using the quantile function. The quantile function provides a more complete description of the heterogeneity within each image, improving image-level classification. 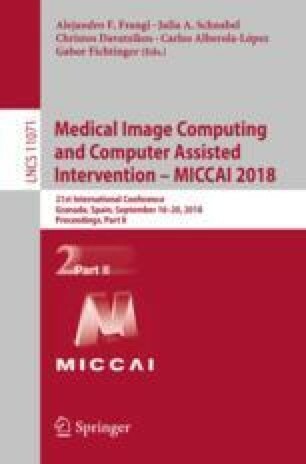 We also adapt image augmentation to the MI framework by randomly selecting cropped regions on which to apply MI aggregation during each epoch of training. This provides a mechanism to study the importance of MI learning. We validate our method on five different classification tasks for breast tumor histology and provide a visualization method for interpreting local image classifications that could lead to future insights into tumor heterogeneity. This work was supported by a grant from the UNC Lineberger Comprehensive Cancer Center funded by the University Cancer Research Fund (LCCC2017T204), NCI Breast SPORE program (P50-CA58223), and the Breast Cancer Research Foundation.